Everybody hates math (including me, of course (T_T)) except for the math wizards. Of course, we have nothing to do about it because we are surrounded by mathematical concepts from time, date, even money – we’re surrounded by numbers, and we can go on with it somehow. Yeah, number and symbol salad, eh? However, there are some people who are dreaded by the very sight of plain numbers. This doesn’t necessarily mean phobia in numbers. This means they can’t even solve a simple equation like 5 + 2. They can’t read numbers very well. This condition is called dyscalculia. Dyscalculia is the difficulty in learning or comprehending arithmetic, such as difficulty in understanding numbers, learning how to manipulate numbers, and learning facts in Mathematics. It is brain-based condition that makes it hard to make sense of numbers. It is also known as math dyslexia. In short, it is the difficulty in number reading, just like in dyslexia where there is difficulty in letter reading. For a dyscalculic (person with dyscalculia), he or she can’t grasp basic number concepts. They work hard to learn and memorize basic number facts. Usually, they fail to understand the concept of “number sense,” which is an intuitive understanding of how numbers work, and how to compare and estimate quantities on a number line. Most researchers agree that number sense is at the core of math learning. If kids don’t understand the basics about how numbers work, learning math and using it every day can be very frustrating. What numbers? I can’t understand them! The World Health Organization and DSM both agree it’s a real developmental disorder that affects approximately 1 in 20 people. This means that dyscalculia can be quite as common as dyslexia; the problem is, dyscalculia is a lesser known condition (what the heck, almost all of us hate math) maybe due to lack of researches. Neurological: Dyscalculia has been associated with lesions to brain such as the Brodmann area 40 and angular gyrus at the junction between the temporal and parietal lobes of the cerebral cortex(on the parietal lobe of the brain, which is at the center). Deficits in working memory: Adams and Hitch argue that working memory is a major factor in mental addition. From this base, Geary conducted a study that suggested there was a working memory deficit for those who suffered from dyscalculia. 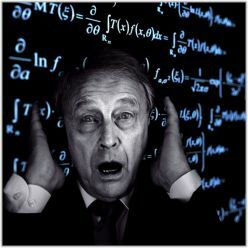 Short-term memory being disturbed or reduced, making it difficult to remember calculations. Gerstmann syndrome: dyscalculia is one of a constellation of symptoms acquired after damage to the angular gyrus. Involvement of the intraparietal sulcus (lateral or side surface of the parietal lobe). What are symptoms of dyscalculia? Having particular difficulty mentally estimating the measurement of an object or distance (e.g., whether something is 10 or 20 feet (3 or 6 meters) away). Mistaken recollection of names. Poor name/face retrieval. May substitute names beginning with same letter. Phew. It’s really hard to have dyscalculia. Even directions cannot be determined. Dr. Ladislav Kosc, the researcher who identified the disorder in 1974, describes six types of dyscalculia within the general area of mathematical disability, each of which corresponds with specific mathematical abilities and tasks. These types of dyscalculia may occur individually or together. A person with lexical dyscalculia can understand mathematical concepts when talking about them, but has difficulty reading symbols such as numerals, and cannot understand them when they occur in number sentences or equations. People suffering from lexical dyscalculia may be able to read individual digits, but unable to recall their place in a larger number. Graphical dyscalculia causes difficulties with writing mathematical symbols, including but not limited to numbers. A person with this disability can understand mathematical ideas when talking about them, and can read mathematical information, but has trouble writing or using math symbols to convey this understanding. Verbal dyscalculia involves a difficulty with talking about mathematical concepts or relationships. For instance, a person with verbal dyscalculia may be able to read and write numbers, but unable to talk about them, remember their names, or recognize them when they’re spoken by others. A person with ideognostic dyscalculia has trouble with tasks that require an understanding of mathematical ideas and relationships, such as identifying which sequence of numbers is larger or smaller. This type of dyscalculia is not limited to oral or written understanding; it is a generalized difficulty with understanding math and numbers as a whole. It can also describe a difficulty in recalling mathematical ideas after learning them. People with practognostic dyscalculia have difficulty translating their abstract mathematical knowledge into real-world actions or procedures. They are able to understand mathematical concepts, but they have difficulty working with actual quantities, volumes or equations in a practical way. Operational dyscalculia is a difficulty with performing mathematical operations or calculations. A person with operational dyscalculia can understand numbers and their relationship to one another, but finds it hard to do any kind of calculation that requires manipulating numbers and mathematical symbols. The student is interviewed about a full range of math-related skills and behaviors. Pencil and paper math tests are often used, but an evaluation needs to accomplish more. It is meant to reveal how a person understands and uses numbers and math concepts to solve advanced-level, as well as everyday, problems. -Ability to self-check work and find alternate ways to solve problems. If there are more weaknesses found here, then a diagnosis of dyscalculia is made. Educational therapy – like tutoring, can help a dyscalculic use alternate styles of learning math. Speech therapy – if having difficulties articulating math concepts. Occupational therapy – if having trouble with visual-spatial skills. For example, they may struggle to judge distances between objects. Medications can help if having problems with anxiety or with ADHD and also psychological counseling. Support groups and assistive devices like calculators can be of help too. And also stimulating the parietal lobe by Transcranial Direct Current Stimulation. What happen if dyscalculia is not diagnosed? Life will be harder for dyscalculics if not managed. Because modern living is filled with numbers, navigating the world will be difficult for them. For example, they are prone to have financial problems because they may not count the correct amount of money. Dyscalculics may also have problems with distances and measurement, which may cause accidents when driving or walking and/or preparing food. They will be also more prone to be late in appointments, work, or dates, which can cause him or her unemployment and/or unstable relationships. Is there hope for dyscalculia? Yes of course. Being weak at numbers doesn’t necessarily mean dumb. Usually, dysclculics have verbal and written language strengths (if without dyslexia) and also visual strengths. They can have very good verbal reasoning (like debates, reporting) and also excellent literary skills (like poetry and prose). And finally, they can be good artists because they can have great talent for arts like drawing and painting (except architectural design(T_T)). Are there famous people with dyscalculia? There are no known examples of people with dyscalculia, as studies suggest that dyscalculia is common (Duh! We hate math! ), but I think that is quite common among linguists, literary experts, lawyers, psychologists, and artists. (C) Naoko Takeuchi/Toei Animation. All rights reserved. So, don’t cry hard. Dyscalculia research is in progress. It is already included in the WHO and DSM. Only public awareness is needed. 4. Levy, LM; Reis, IL; Grafman, J (August 1999). “Metabolic abnormalities detected by 1H-MRS in dyscalculia and dysgraphia”. Neurology 53 (3): 639–41. doi:10.1212/WNL.53.3.639. PMID 10449137. 5. Mayer, E; Martory, MD; Pegna, AJ; Landis, T et al. (June 1999). “A pure case of Gerstmann syndrome with a subangular lesion”. Brain 122 (6): 1107–20. doi:10.1093/brain/122.6.1107. PMID 10356063. 6. Adams, JW; Hitch, GJ (October 1997). “Working memory and children’s mental addition”. J Exp Child Psychol 67 (1): 21–38. doi:10.1006/jecp.1997.2397. PMID 9344485. 7. Geary, DC (September 1993). “Mathematical disabilities: cognitive, neuropsychological, and genetic components”. Psychol Bull 114 (2): 345–62. doi:10.1037/0033-2909.114.2.345. PMID 8416036. 8. Monuteaux, MC; Faraone, SV; Herzig, K; Navsaria, N et al. (2005). “ADHD and dyscalculia: Evidence for independent familial transmission”. J Learn Disabil 38 (1): 86–93. doi:10.1177/00222194050380010701. PMID 15727331. 9. Rubinsten, O; Henik, A (February 2009). “Developmental dyscalculia: Heterogeneity might not mean different mechanisms”. Trends Cogn. Sci. (Regul. Ed.) 13 (2): 92–9. doi:10.1016/j.tics.2008.11.002. PMID 19138550. 11. Posner, Tamar (2008). Dyscalculic in the Making: Mathematical Sovereignty, Neurological Citizenship, and the Realities of the Dyscalculic. ProQuest. ISBN 978-1-109-09629-3.